I like to drink and I like to eat ice cream. 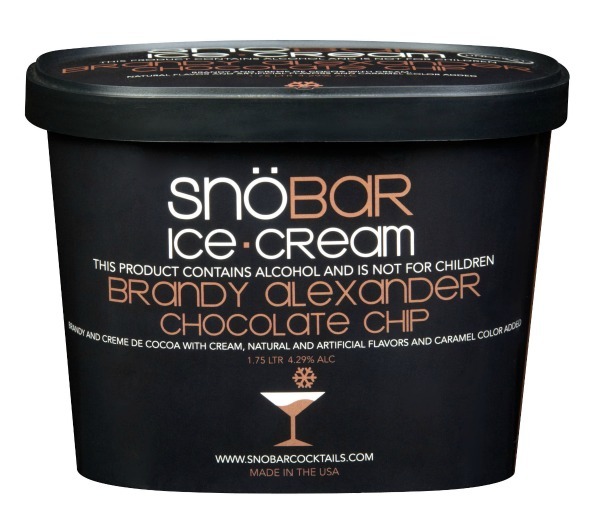 So naturally, when I heard about SnöBar alcohol infused ice cream and ice pops, I was a bit intrigued. Can two tastes that taste so great apart really taste that great together? I needed to investigate. SnöBar basically takes premium alcohol and introduces a full cocktail in every ice cream and ice pop serving. Apparently this isn’t easy. There are all kinds of chemistry issues and complicated scientific know-how that goes into the ice cream/alcohol combo process. The main thing is getting the two things to coexist without separating during the freezing process. My understanding is that this has been tried before, just not that successfully. At the moment, SnöBar ice cream and ice pops are only available in Arizona, but they’ll be showing up in Las Vegas very soon. These treats are ideal for pool parties, BBQs, sporting events, summer snacks, late night sweet-tooth nightcaps, you get the idea. Cosmopolitan ice-pop – premium vodka, triple sec and cranberry. I sampled a Cosmo ice pop and it was super tasty. Not too sweet, not too stiff of an alcohol taste – just the right combo of flavor, refreshment and slight head-change. For the ice cream flavors, the Brandy Alexander with Chocolate Chips was my favorite. It was a rich, homogenous blend of choco flavor with a bit of a kick. The Grasshopper has a more distinctive minty taste, with the alcohol being more of a subtle play. 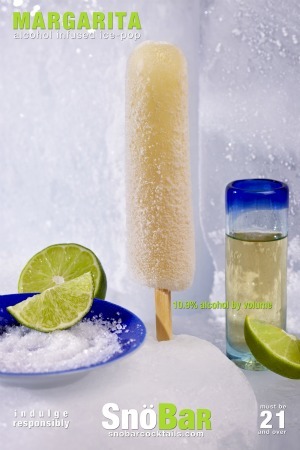 The amount of alcohol included in each flavor varies a bit, from 3.59 to 6.41 percent (8.22 to 14.67 alc/vol). No one’s going to ask you for your keys after you enjoy some frozen SnöBar treats, but the alcohol content adds more than just flavor. You definitely get the satisfaction of a full cocktail with the added desert benefit of frozen refreshment. SnöBar products can be found at Total Wine stores, but the company has plans for a more expansive nationwide rollout in 2012. Keep your eyes peeled for the displays and try one out if you have the chance. It’s a good idea that’s well executed and a delight to share with friends. Print article This entry was posted by Chris Stout on January 30, 2012 at 2:08 pm, and is filed under Lifestyle. Follow any responses to this post through RSS 2.0. Both comments and pings are currently closed.